Information products can come in all shapes, sizes, and formats. One of my favorite ways to create an info product is to create online courses. I have done this over a hundred times since coming online a decade ago, and each time I perfect the process so that my students may learn it from me and implement the strategy for their own business. 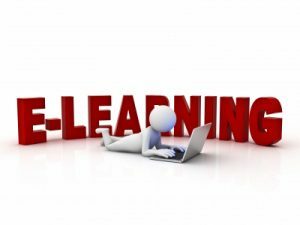 I define an online course as one that can be accessed and consumed virtually, meaning that there will not be a face to face component as a part of the training course. I began by teaching on teleseminars, but for years now I have used webinars to teach a variety of topics online. Also, I record the audio separately so that people in my online courses may choose whether to watch the replay or to simply listen to the audio. Over the years I have found that the majority of people will only watch the webinar once, but want to have access to the audio to listen to additional times. Deciding what to teach does not have to be a lengthy process. I get my ideas primarily from conversations I have with my students. I run an active mentor program where people come to me at various points in their online entrepreneurial careers and the discussions that arise lead me to teach a variety of topics. If one person asks about or struggles with something related to their business, then I know that many, many more people are also stuck on that topic. I make some notes and then create a new online course to answer the questions that need to be answered and to share some strategies that are working for me. You may also come up with ideas based on news articles, discussions in a forum or on social media or even from face to face contact with people you know, and by thinking of things that you struggled with in the past. Ideas are everywhere and when you think about the problems and solutions people have and are seeking you will quickly come up with viable topics for online courses you could teach. Like I stated earlier, I deliver my online courses using webinars. I may also include handouts, checklists, study guides, and other materials. In this live interaction with my students I am able to guide them through my course over a period of several sessions. In between each session I assign them activities and tasks that will enrich their experience and bring them closer to achieving their goals. Membership sites work well for accessing materials and replays for your online course. This can all be set up quickly and easily by you or someone who helps you with the technology portion of your online business. This way your students may log in to the member’s area whenever it is convenient for them and consume your training at their own pace. I teach a popular training course on how to do everything I have discussed here, and more in my Really Simple Online Courses training program. I would love to teach you everything I know on this topic so that you could get started right away with this lucrative business model. This entry was posted in Online Marketing Tips and tagged Build, Business, Courses, Online on February 26, 2017 by Connie Ragen Green.